With Father’s Day just around the corner, thoughts turn to what to buy for dear ol’ Dad. However, many people find that their budgets are a little strained at the beginning of summer. If that is the case for you, never fear. 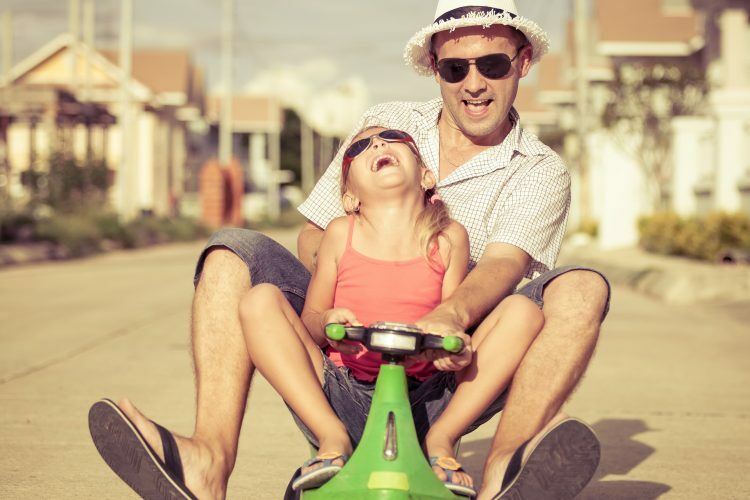 There are a wealth of easy and inexpensive ways to celebrate dad on Father’s Day that will make him feel like man of the year! Does your dad make the best barbecue ribs or the juiciest burgers in town? Why not add to his barbecue arsenal with a nice grilling gift basket? Check your local dollar store for some fresh new grilling tools, such as tongs, silicone basting brushes, and spatulas. While you are there, look for some “manly” potholders or oven mitts and kitchen towels. Next, head to a discount bookstore or the “for sale” section in your library to find him a new grilling recipe book. You may be able to find some great books on grilling for just a few dollars. Finally, head to the grocery store and pick out some new seasoning packets or marinades he has never tried before. You also can pick up his favorite barbecue sauce and any other items that he uses often. Instead of buying dad a physical gift, consider taking him on a fun outing instead. If you live near an area that has a small baseball league, you can often get very inexpensive tickets for a game that you can enjoy with him. If they are fairly inexpensive, get several tickets so that he can bring along some of his buddies. Have a nice meal before the game so you won’t have to shell out for the expensive hot dogs at the ballpark. You also can get discounted movie tickets for a film he really wants to see and treat him to a nice matinee. To keep it really simple and inexpensive, consider taking him on a picnic to a local park and have a quiet afternoon together. The goal is to spend time making your father feel special, and time is a thoughtful — and affordable — gift to give. Another thing you can do is make something for your dad for Father’s Day. We’re not talking about a macaroni art piece like you made in kindergarten. You can make some lovely gifts yourself, often better in quality than store-bought, for very little money. For instance, if you have a nice camera, take a portrait of the grandkids printed at Snapfish.com or Shutterfly.com and frame it. If you are looking for gift ideas for your children to give their father, you can help them bake a favorite dessert to enjoy after a Father’s Day lunch. They could also make coupon books with different ways they can help their dad all through the year. Did you get a bunch of gift cards during the holidays that you still have not redeemed? Or are you still holding on to your gift card points from iRazoo? Why not cash them in and use them to get something nice for Dad? If you don’t have a card to a store that will have something your father would like, you can always consider selling them online for a lower value or trading among friends. Use the gift card money to buy something at a store that has something your father would enjoy. Celebrating Dad does not have to be expensive. Ultimately, it is truly the thought that counts. Taking the time to think of the fathers in your life will mean the most to them.